Reduces dark circles and puffiness, wrinkles and fine lines. 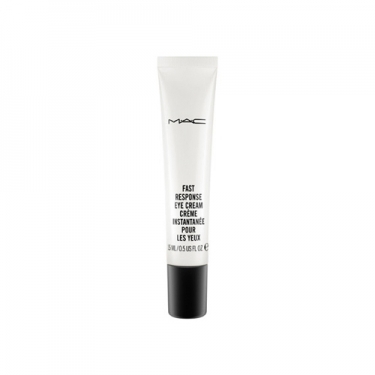 DESCRIPTION: Fast Response Eye Cream from M.A.C. is a caffeinated eye cream with immediate effects. It decongests and reduces dark circles and puffiness while firming the contours of the eyes. With light diffusers that reduce the appearance of wrinkles and fine lines. Tested dermatologically and ophthalmologically. Non-comedogenic. Apply a small amount of product on the eye contour with a gentle massage.